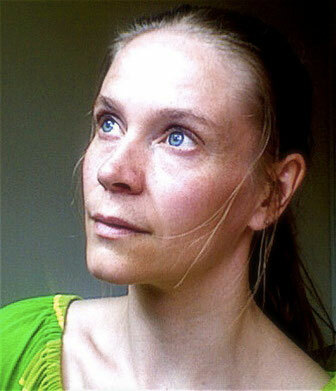 I am a performer, educator, researcher and somatic movement therapist based in Helsinki and Berlin. In my work I apply somatic and improvisational approaches to dance and movement education, therapy, birth and parenting, choreography, ecology, and most recently into leadership training. As a performer I create participatory performances and movement rituals that serve to build community and address the critical issues of our times. I am a Moving On Center Participatory Arts graduate, Certified Massage Therapist and Bodyworker, Dynamic Embodiment Practitioner, Laban/ Bartenieff Movement Analyst (IMS, 2003), and hold an MA in Live Art and Performance Studies. I have co-directed the Moving On Center's European programs and am on the faculty of Martha Eddy's Dynamic Embodiment - Somatic Movement Therapy training in Cologne. Since 2008 I have collaborated with Action Theater™senior teacher Sten Rudstrøm and created Core of Expression, embodiment training combining somatics and improvisation. Since 2001 I hold a private practice as a somatic movement therapist, combining Laban/Bartenieff Movement Analysis, Body-Mind Centering, myofascial bodywork and somatic psychotherapy.